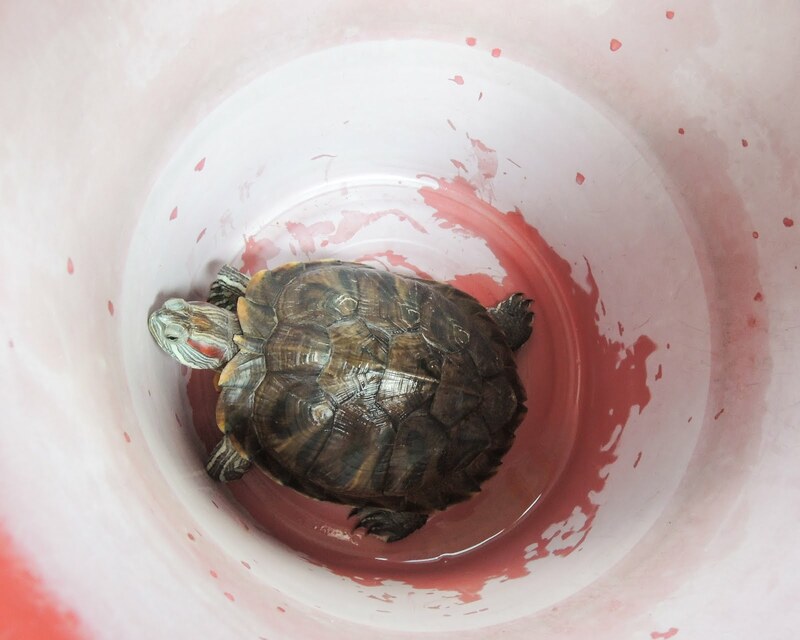 About a week ago, we went to Thean Hou Temple to release our Red Eared Slider. It grew so big that we do not have any place for it to swim anymore. So, we decided to release it. We placed him in a bucket. He is quite still and steady throughout the car ride. I’m in the midst of training ahbuii to take more pictures to capture memories. Here’s a papparazi shot by him. Not bad ah his skills. I look slim and tall here. There’s quite a few with my bulging tummy tho. Conclusion is, I only look good during selfies and back of my body. Hahaha! Once we arrived the turtle pond, I was in awe. SO DAMN MANY TURTLES!!! WuGui, we got you when you were so so little. I think you were only mere 3 inches when we got you? There were 3 of you and you are one survivor! Years passed, you upgraded from a small turtle/hamster/white mice container to an aquarium and lastly your swimming pool. You grew so much! Before I left for Singapore, I kept worrying who is gonna clean your swimming pool (Toyogo storage box, lol). My mom and ahma took care of you so well. I even received videos of you roaming around the house. Who says turtles are slow?? I searched high and low for a place for you. 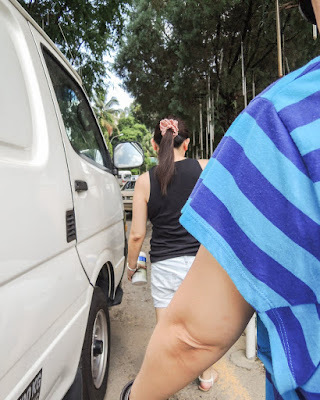 Initially, I was thinking Desa Park City. On our anniversary, we stroll down Desa Park City and we only saw a few. I was afraid you will be catched and killed! (i'm thinking at the very worst!). Then, Lakeview came to my mind but the same thought came to me like Desa Park City. 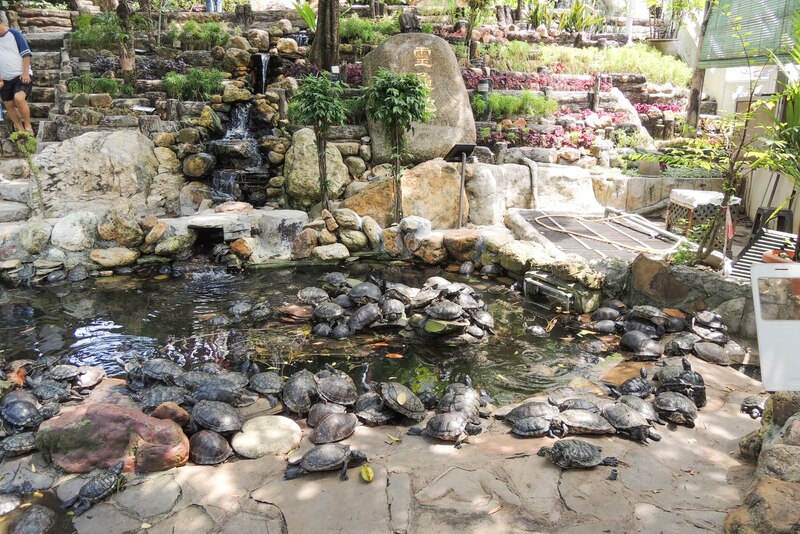 Ahyi mentioned temple before but she only knew Penang has one that accomodates turtles. I don't think you wanna go through hours of car ride. Dizzy die you ah. No water for you to soak some more. At the end, I found Thean Hou Temple. 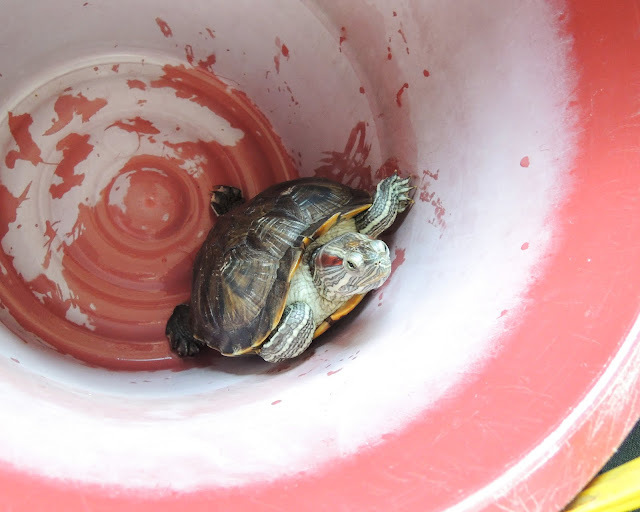 When I released you, immediately you ran to the pond and swam. Like a champion. It's been a while you swam. How was it like? Thank you WuGui. Ahma didn't want any replacements. You will always be our little WuGui. Enjoy your new home!